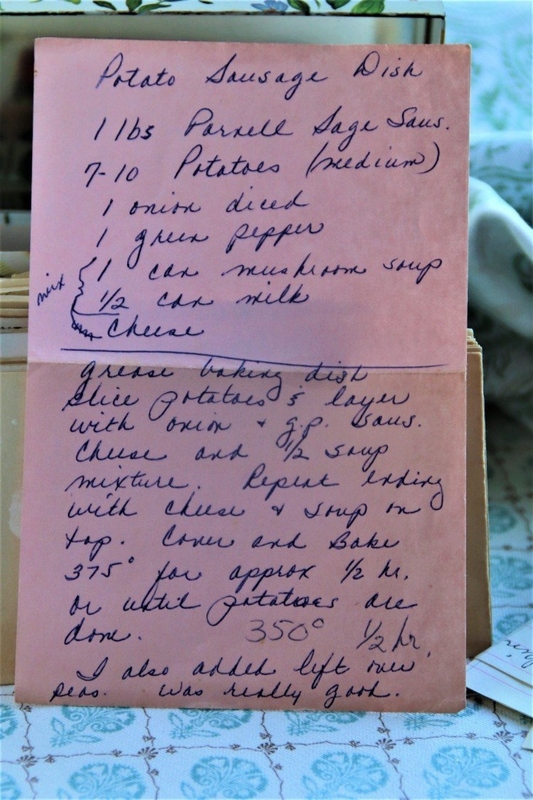 Front of the recipe card for Potato Sausage Dish. 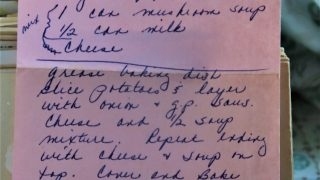 There are lots of fun recipes to read in the box this recipe for Potato Sausage Dish was with. Use the links below to view other recipes similar to this Potato Sausage Dish recipe. If you make this Potato Sausage Dish recipe, please share your photos and comments below! 1 lbs Parnell Sage Saus. Slice potatoes & layer with onion & g.p. saus. cheese and ½ soup mixture. Repeat ending with cheese & soup on top. I also added lift over peas. Was really good.